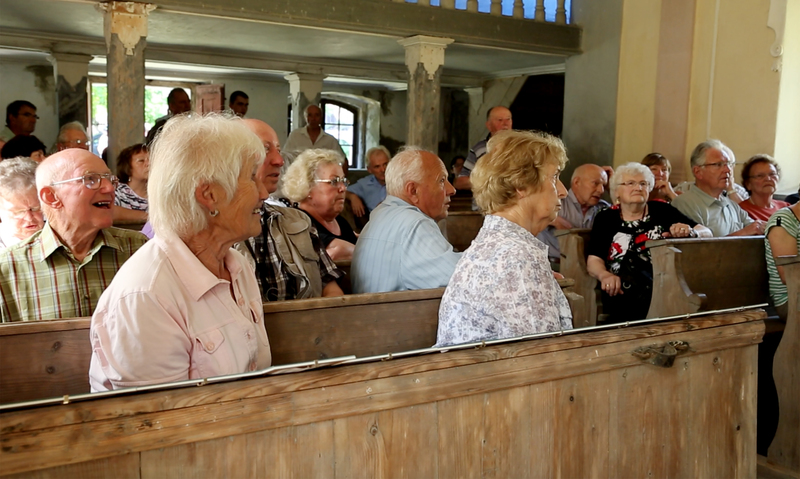 A group of former residents from Wunschendorf in the chapel in Srbska. 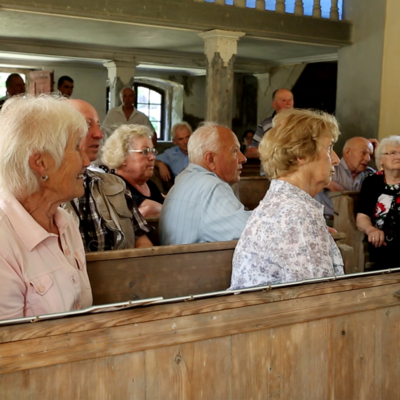 Between 2009-2016 this group travelled from Germany to visit the village annually. Dixon, Sophie, “Former residents from Wunschendorf in Srbska,” Srbska, accessed April 25, 2019, http://srbska.org/items/show/412.